The numbers are overwhelming, of the estimated 30 billion emails that are sent each day, almost fifty percent are unwanted, unsolicited spam email. In that massive number are billions of unwanted advertising pitches, adult oriented mail, and emails that perpetuate scams and identity theft. Internet service providers and email hosts throw everything they have at the problem, but faced with attacks on all fronts, even the most hardy filters will let messages through. Now add to that the dozens of legitimate emails, each pressing for your attention. There’s the recital next week, the online bill statements, forwarded messages from work, your dad asking when he can have his tools back, and dozens of long lost friends pestering you with Farmville invites. It’s enough to drive anyone insane. 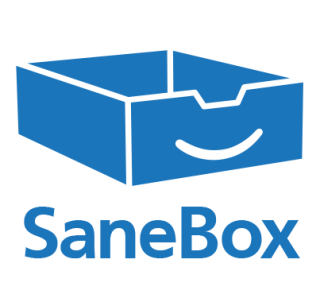 Enter Sanebox, the sanity solution for your inbox. Sanebox is a feature packed email management solution that takes your emails, and gives you back the precious gift of time. Here is how it works. Sanebox interfaces with nearly every current email service, like your Gmail or Yahoo, and nearly every email client, including Outlook, Lotus, and their ilk. Then, based on simple yet deceivingly smart filters, Sanebox runs algorithms that separate your emails into important, or Sanenow, and unimportant, or SaneLater. While it may seem a clever name for an email filter, it’s so much more. Does an email filter send a daily summary of each of your folders, or does an email filter actually unsubscribe you and never let you see the unwanted messages again? Sanebox does, once you hit unsubscribe, it becomes the ex that moves out of state, except you are guaranteed to never see the emails again. It also lets you defer an email until you are ready, and when you are, it puts the email back in your inbox. Let’s see an ordinary email filter do that. What about your social network? You won’t miss a beat or a tweet when you use the Sanebox social network integration features. Link your Facebook, Twitter, LinkedIn, and others all to your Sanebox, and watch your time spent checking each network drop to nil. Concerned about security? Don’t be. Sanebox uses the same multiple layered security and encryption features that the banks use. The algorithms that are used to filter the emails only examine header information and the outside of the email, the contents are secure. So how much would you pay for email freedom? How about for 2 hours of extra productivity per day? How many Starbucks do you have in a month? If you answered more than one coffee, then you should already be signing up. Sanebox is priced at $4.95 per month, $55 per year, or $100 for a 2 year subscription to email emancipation. With even 1 hour a month freed by Sanebox’s insane features, your investment will pay for itself. Still not convinced your time is worth the money? Give Sanebox 14 days to change your mind. With no credit card commitment, and a 14 day free trial, you can try before you buy and see the magic yourself. And as easy as it is to sign up, it’s as easy to cancel if you don’t like it, but what are the chances of that?